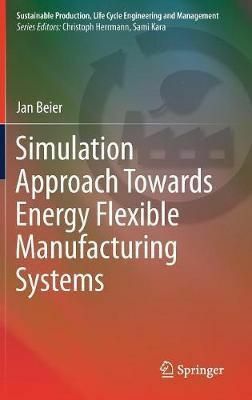 Simulation Approach Towards Energy Flexible Manufacturing Sy By Beier, J. This Authored Monograph Provides In-Depth Analysis And Methods For Aligning Electricity Demand Of Manufacturing Systems To Vre Supply. The Book Broaches Both Long-Term System Changes And Real-Time Manufacturing Execution And Control, And The Author Presents A Concept With Different Options For Improved Energy Flexibility Including Battery, Compressed Air And Embodied Energy Storage. The Reader Will Also Find A Detailed Application Procedure As Well As An Implementation Into A Simulation Prototype Software. The Book Concludes With Two Case Studies. The Target Audience Primarily Comprises Research Experts In The Field Of Green Manufacturing Systems.